Little video of the madness at midnight at YOU DIG? 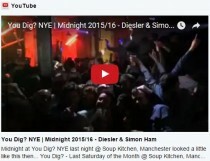 last night @ SOUP KITCHEN, MANCHESTER – Happy New Year!! HERE! !